For those who like disco and super-heroes, there was only one hero to love - Dazzler. Now through the work of Turn The Beat Around Toys and the Franklin Mint, Dazzler is getting the action-figure love she deserves in The Dazzler Collection. The initial offering of The Dazzler Collection will consist of two mini-figures and one larger figure. 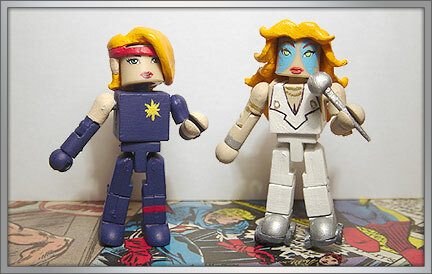 The Dazzler mini-figures will come in a special two-pack covering two great eras in Dazzlerness � her disco period, when white jumpsuits ruled, and her X-Man phase, where she dressed like Olivia Newton-John. 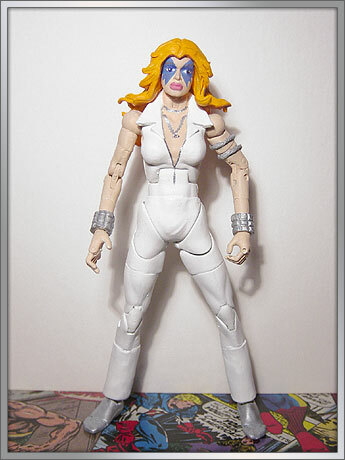 The larger Dazzler figure will feature her disco period outfit, and come with multiple points of articulation.